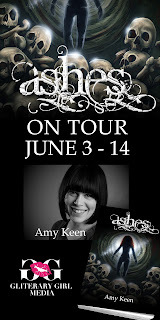 Amy Keen is the author of Embers, and its recently released sequel Ashes. 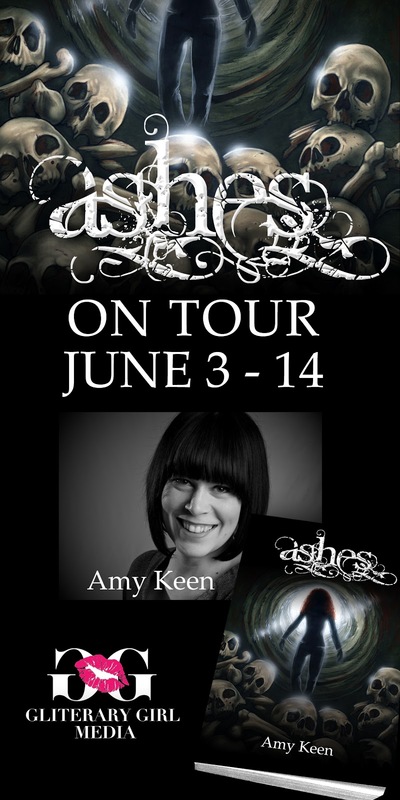 To celebrate the release, Amy Keen is on blog tour, and today I have an excerpt of Ashes and Amy is here to talk about the "secret" to writing! First up, here's Amy! The first big secret is…there is no big secret. I have been writing since I could hold a pen and my childhood ambition was only ever to be an author. I didn’t waver on that (ever) and went to study Journalism at university just so I could try to find a job that would pay me to write. So maybe the first lesson was persistence and determination. When I say there is no secret, I mean mainly that, there is only your way and the things that have helped other people create the books you love may not necessarily work for you (but, hey, they might – there are no rules). I spent a lot of time in the years before, during and after my education trying to force a book out of my brain. I couldn’t understand how I could love reading so much, love writing and seem to be reasonably good at it, but still not develop a story that worked. I wrote and wrote and wrote; resulting in many terrible stories and half novels which will never see the light of day – there is no fixing them as I didn’t yet understand what I do now, which is; write for yourself first. If you don’t enjoy writing about it and you are not passionate about the type of book you are creating, no-one else will be either as it will come across in your work. The inability for me to manage a coherent story didn’t put me off though. I just gave in to the realisation that I had to keep at it; loving words I mean and the rest would follow in due course. IT DID! In 2009, I had the mental image of someone hiding something under floorboards and like magic, my brain started to tick over like I always hoped it would. Millions of thoughts and questions about whose hands were they and what was being hidden played out and I started to research ideas I liked and thought would answer them. I knew I wanted a supernatural or paranormal element to my books, but not a fantastical idea such as Vampires (for the record…I LOVE vampire books but I just knew it wasn’t the direction for me). So I went from Native American Legend to various other options, before I decided on The Salem Witch Trials. I researched houses through real estate agents, looked back over photos from my own visit there and started to build a life for the red haired girl I wanted as my main character. Some of the decisions were conscious but most of Embers (Book One) was a stream of consciousness which changed constantly as I wrote. I don’t plan my books, I start with an idea and see where it takes me and I surprised myself with how the story developed. But it worked because I was excited about it and hopefully, as readers, you will agree that the idea is original. The Foresight Series now exists outside of my head and it was the first real idea I ever had, so I have been very lucky. I now have a head full of ideas to work on once this trilogy is complete and I am so excited and honoured to have a chance to put them out there. The final (and somewhat terrifying task) is creating an end that satisfies not only my hopes and dreams for the series, but those of the loyal readers that have invested precious time into Scarlett and her friends. If you are a reader, I hope you enjoy them. If you are a writer still waiting for that light bulb moment, keep waiting….it is coming! Thanks, Amy! And here is an excerpt to Ashes! "We took a sudden left down a path I hadn’t even noticed and I grew more painfully aware of how much deeper we were going, which meant I was losing track of how to get out. The air further down was damper and the putrid scent of the death housed in the rooms all around us was lingering, haunting the maze like a horde of ghosts. Sutcliffe stopped at a large wooden door that ran flush with the stone wall. It was thick, old timber with heavy metal adornments and a huge door knob. He placed his hand over the handle and it split in two, one half separating from the other as the top slid to the right. Beneath what had appeared to be a normal handle was a small gray pad, not unlike what Elias had at his apartment. They had been making modifications. I guessed this is what he was referring to when he used the word sophisticated. The door came to life with a loud thunk. It moved back a few inches before sliding to the left and revealing a bright white laboratory style room. The luminescence of the clinical strip lights burned my eyes and I squinted to adjust. He dragged me forward and the room expanded before me into huge space that glowed white. To my left there was a bank of steel work benches with complex looking machinery and microscopes. Straight ahead there was a large dentist style chair with restraints on the arms and legs; a huge brace hung above it which looked like some kind of futuristic helmet and a hospital gurney, just like the one I had experienced the last time I lay in wait, at the back of the room with unused IV machines lined up alongside. On the right hand side there was a bank of monitors mounted on the wall above a control panel of blinking lights and switches so vast it looked like it could have been lifted right out of air traffic control. The wall of blank screens stretched ten deep and three high. There was nothing to suggest at all where we were stood, not a single bone or trace of stone. I had been in hospitals less equipped than this. My eyes were greedily trying to take it all in, desperately searching for clues of a way out, what exactly they would do with me in this room. The door had long since closed behind us and a glance confirmed my worst fears; there wasn’t just a code to get in. There was one to get out." Wow! Great excerpt! Very creepy. Loved hearing about Amy's path to writing. I also thought about going into journalism and gaining an entrance into writing that way. Didn't get into the journalism program, but wound up in the creative writing program instead! So I admire the fact that Amy knew where she wanted to be.